One of the most intelligent Hollywood actors (and directors) ever, Paul Newman, died last Friday at the age of 83. Newman studied acting at Yale University and, under Lee Strasberg, at the Actors' Studio in New York City. His first film acting role was in The Silver Chalice (1954), and his career in the movies went on to span six decades. There's a report and a good obituary on the BBC website (links HERE and HERE). And below you can find the three sections of a good video overview of Newman's career, together with that of his partner, Joanne Woodward, who survives him. A little bit of ... not very scholarly fun, today. Well, exactly a week has gone by since his post, and Rome is still burning, but I just wanted to share an essential link with you to an item from the BBC Radio 4 Today programme, as reported by the BBC website today, which was based on the quintessential 'film-studies film', It's a Wonderful Life (Frank Capra, USA, 1946). The BBC page link is HERE; and the related Today programme audio file link HERE). Russell Taylor, one of the writers of Alex, the cartoon of city life which runs in the Daily Telegraph's business section, has written his own version of James Stewart's speech from It's A Wonderful Life [see video embed and audio file above]. It captures just how Alex Masterley - the caddish hero of the comic strip - would describe the events of the past week. "So, you want to withdraw the money you deposited with us? Yes, well, I'm afraid we can't give you back your money because we don't have it. You see, what happened is that we lent the money you gave us to Joe and the Kennedys and Mrs Maklin to buy houses with, and then we lent them some more money to buy a second property on a buy-to-let basis and a third rental property too and then we lent them some more money against the value of all the various properties that we'd lent them the money to buy, so they could go on a nice holiday..."
And on it goes. Funny stuff. And timely, too. But, as they sometimes say in and around Rome, "Fa caldo..."
A few more links have been added to Film Studies For Free's list of film-scholarly podcasts and videocasts, most notably one to a page on the LUXONLINE site, a brilliant web resource for exploring British based artists’ film and video in-depth (offering critical writing, stills, streaming video clips, and other contextual resources). The LUXONLINE site also has a lot of original artists' films, or clips from artists' films, available for viewing in streaming video, so it is well worth taking the time to explore the site properly. You can start your searches for resources by particular artists HERE and for particular streamed films/clips HERE. There's another organisation which has even more user-friendly listings to assist with tracking down British-based artists' film available for viewing more generally on the web (links HERE and HERE). The British Artists' Film and Video Study Collection is a research project led by David Curtis and Steven Ball and based at Central St Martins College of Art and Design, London. It focuses in particular on the history of artists' film and video in Britain. Like LUXONLINE, the British Artists' Film and Video Study Collection also provides a good collection of freely accessible research papers on artists' film or by film artists (link HERE), including ones by Malcolm Le Grice and Michael Mazière. 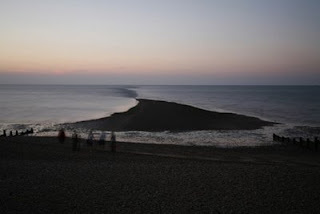 There's also a paper by my friend and former colleague in Film Studies at the University of Kent, Sarah Turner, which sets out some of the conceptual background to her 2007 film Ecology (read a BBC interview HERE), which premiered at last year's Cambridge Film Festival. The latest blog post by David Bordwell ('They’re looking for us', 19 September 2008) treats the important issue of the reaction shot, a film technique which provides 'one of the most enjoyable and arousing dimensions of cinematic storytelling'. Bordwell's post is, as usual, a remarkable, and beautifully illustrated, piece of digital scholarship which takes us, very entertainingly, from a contemporary example of a reaction shot (drawn from the 2007 film Music and Lyrics, directed by Marc Lawrence), and working thus in the context of what Bordwell considers intensified continuity editing; through Steven Spielberg's Jaws (1975), John Woo’s A Better Tomorrow (1986), Carl Dreyer’s La Passion de Jeanne d’Arc (1928), and Carol Reed's The Third Man, ending up with Road Warrior (1981, aka Mad Max II, directed by George Miller). Bordwell concludes his highly informative and enlightening post with characteristic modesty: 'There’s much more to say about the reaction shot'. He's right, of course: we might 'want as well to talk about films that withhold information about characters’ reactions—by using enigmatic or ambiguous reaction shots, or by eliminating reaction shots altogether'. ' But it is really difficult to imagine saying anything more, or saying anything in a more illuminating way, in under 2,750 words. With their blog Observations on film art and Film Art, Bordwell, and Kristin Thompson, his partner and frequent co-writer, have very much perfected the art of concise and scholarly digital communication. We must be very thankful, thus, that both of them came to be inspired by the possibilities for the creation and dissemination of new film scholarship which are offered by the internet, in general, and by weblogging, in particular. There's a great podcast in which Bordwell talks about this very topic (recorded in January 2007), which is very much worth checking out. It's accessible HERE at Zoom in Online (be warned that you have to endure a short advert, and not-the-best audio quality, though). I just came across another great, free source of podcasts of film scholarly note, via the wonderful Museum of the Moving Image's Moving Image Source website, where I was checking out a girish recommendation for the publication of September articles. The podcasts are accessible via a Moving Image Source page called Pinewood Dialogues ('Selected Conversations with Innovative and Influential Creative Figures in Film, TV, and Digital Media'). There are some 73 podcasts currently posted, of interviews with, and dialogues between, filmmakers and other creative folk, including the likes of Werner Herzog and Jonathan Demme, Stan Brakhage, Martin Scorsese, Thelma Schoonmaker, Michael Powell, Patricia Rozema, George A. Romero, Fernando Meirelles and Rachel Weisz, and François Ozon, among many others. There is also a webcast of an interview, in the 'Moving Images' series, with Laura Mulvey (7 March 2002) at the Tate Modern, but the link is reported as faulty by the Tate website at present. They say they will fix it, so wait a while, and then try HERE. While on the subject of Mulvey, HERE's a link to an online version of her classic essay, 'Visual Pleasure and Narrative Cinema'. And, to conclude, HERE's a link to an already pretty widely-known, online 'access point' for Superstar: The Karen Carpenter Story (Todd Haynes, 1987 - also added to Film Studies For Free's regular listing of 'Film Practice As Research Links'). 'Same Tune Again! 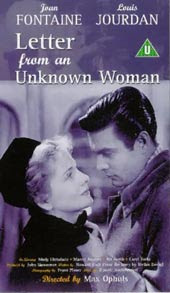 Repetition and Framing in Letter from an Unknown Woman' (originally published in CineAction! no. 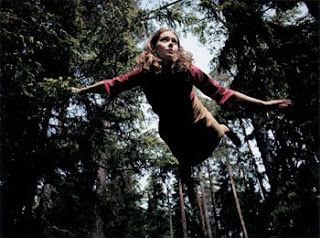 52) republished online by Danish film studies journal 16:9 (September 2003) and accessible HERE. 'Moments of Choice' [on film directing] (originally published in The Movie, ch. 58, reprinted in Ann Lloyd (ed. ), Movie Book of the Fifties, Orbis, 1982) republished online by the Australian journal Rouge (issue 9, 2006) and accessible HERE. These are the two highlights of a number of recent updates to Film Studies For Free's listing of links to 'Individual Authors' Online Writing Of Note'. I had added the very nice looking blog Edit Room, a most welcome continuation of the now sadly defunct SubalternCinema (see definition), to Film Studies For Free's blog roll a little while back (annoyingly for me, though, not in time to add it to my - it turns out, non-updateable - scholarly blog poll...). Anyhow, I just got round to taking a much closer look at this wide-ranging blog (up and running since January 2007) and I think it has an enormous amount to recommend it to film-studies scholars and students. the inaugural issue of Wide Screen aims to critically re-examine cinema against the backdrop of existing hegemonies and re-conceptualise the cinema located in the gaps of the popular. We invite critical papers on "subaltern cinema" and the "subaltern" in cinema. 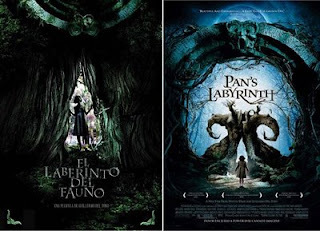 But one of the items in the Edit Room that most caught my eye (with my own particular research interest in contemporary auteurism, as well as in Spanish-language cinema) was Kuhu Tanvir's discussion of Guillermo del Toro's 2006 film Pan’s Labyrinth (El Laberinto del Fauno, Mexico/Spain/USA). Tanvir's article, entitled Pan's Labyrinth of History (also accessible via the Edit Room's Must Read category page), explores the allegorical and fantastic aspects of del Toro's film more deftly, concisely, and powerfully than any other piece of writing on the film that I have yet come across (and I have read quite a few...). In a film based on a fascist camp in Spain during the Second World War it would be easy to think that Ofelia [the film's young protagonist] will use the fantastic as a space where she can escape Vidal [her new step-father] and his cruelties. And that del Toro will use the fantastic as symbolic of the real, in a way masking it. This is precisely what he does not do. Tanvir wears her undoubtedly fine scholarship nice and lightly. She is as happy to support her argument with quotes from good quality online interviews with del Toro (such as this About.com one HERE) as she is with theory drawing upon Hayden White's "The Value of Narrativity in the Representation of Reality". And why shouldn't she, and we, be happy thus? 'Open Access' oughtn't just to mean 'open and accessible' in a mere technical sense, but also 'open and accessible' intellectually, wherever possible. Tanvir's article, in particular, and the Edit Room, in general, are rich, scholarly, open, and accessible resources, as, I'm sure, the Wide Screen journal will also be in due course. Good luck to the latter and I hope that FSFF's readers will both enjoy and benefit from exploring what it and its stable mate have to offer. 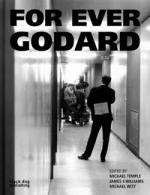 My recommendation today, another addition to Film Studies For Free's listing of scholarly resources in audio or audiovisual form (also see HERE and HERE), is for podcasts of audio-recordings of several sessions from the 2001 For Ever Godard conference. The link (to a MySpace page, which takes a while to load) is HERE. FOR EVER GODARD was a four-day international conference held at Tate Modern, London, 21-24 June 2001. It is the first event of its kind ever to be devoted to Godard's work in Britain. It brings together both well-established commentators and the younger generation of critics working in the fields of film and television, art history, cultural studies, philosophy, music, and literature. It draws on talent from many different countries and from different intellectual backgrounds. There are also lots of Godard-related YouTube videos embedded on this site, as well as some great images. There's a good review of the conference by Maximilian Le Cain at senses of cinema HERE (and a detailed review of the related book collection For Ever Godard, on Film-Philosophy, 10. 1, by Katerina Loukopoulou HERE). Film Studies For Free's principle of full disclosure requires me to note my own involvement in the For Ever Godard conference; I was a member of the advisory committee, and was also lucky enough to chair a great session on Godard's lyricism with both Adrian Martin (see a lovely article by Martin on Godard in a special issue on 'French Cinema Present And Past' at senses of cinema HERE; as an aside, I highly recommend girish's enlightening interview with Martin HERE) and André Habib (see a good piece by Habib on Godard at senses of cinema HERE). I also contributed to the published collection of work which was based on the conference, from which sample spreads can downloaded for free via this link HERE. As always, any further suggestions for FSFF's resource listings will be very gratefully received and anyone suggesting items will always be properly acknowledged. Film Studies For Free now has a listing of links to free podcasts (and video podcasts/webcasts) of film-scholarly note. It is currently headed by a link to the podcast page of the website feminism 3.0 (also accessible via the blog New Research in Feminist Media Art/Theory/History) run by my friend Vicki Callahan of the University of Wisconsin (Milwaukee). The podcast currently posted is of an interview with the media artist Cecelia Condit in which she discusses her work. Some of Condit's video work is posted to her website. A nice Afterimage article about Condit's work, by Kelly Mink (Jan-Feb., 1998), is available HERE. I've also posted a link to the hugely rich Tate Galleries listing of podcasts. Film-scholarly related highlights on this enormous listing include a podcast of the Tate Modern event 25-11-2007 Film Synergies which discussed the practice of Latin-American film co-production with Europe, which became widespread in the 1990s. The event included the screening of the 46-minute documentary Latin America in Co-production (Libia Villazana, UK/Peru 2007), which explores the mechanisms of this practice. There's a podcast of the Tate Modern event 22-07-2007 Patrick Keiller in which Keiller presents and discusses material from Londres, Bombay (2006), his multi-screen video reconstruction of Chhatrapati Shivaji Terminus (formerly Victoria Terminus) in Mumbai. There's a podcast of the Tate Modern event 16-06-2007 Surrealism and Film: Study Day, held on the occasion of that gallery's major exhibition 'Dalí & Film', which explored the work of Salvador Dalí in relation to the wider links between surrealism and film. There's a podcast of the Tate Modern event 24-02-2007 Robert Beavers, about the season dedicated to this American film artist's work. Any suggestions of further links to good film-related podcasts (and video podcasts/webcasts) from FSFF's readers would be most welcome. While I'm on the subject of The Bioscope, I should mention that this blog is also very deservedly celebrating surpassing 150,000 visits since 2007, a remarkable achievement, but unsurprising considering the truly unrivalled wealth of scholarly and other resources that The Bioscope opens up for its readership. Dr Luke McKernan is Curator, Moving Image at the British Library, and has written on early cinema, newsreels, film propaganda and Shakespearean cinema. His current areas of research include early colour cinematography and children’s cinema-going before the First World War. What is particularly wonderful about his contribution to online film scholarship is that he exhibits a so-far unparalleled enthusiasm (I would say) for making a very large part of his scholarly work available to anyone who wishes to access it electronically, at the same time as being in a great position to do this, as a national library curator. He runs two further, excellent scholarly websites on early and silent cinema: Who’s Who of Victorian Cinema and, on the subject of his PhD thesis, Charles Urban, Motion Picture Pioneer. The web is not only an unmatched research tool, but an outstanding means to publish research, to engage with not only one's established research community but to reach out to other disciplines and new audiences. The tools that now exist, such as blogs, enable us to ask new questions of cinema history and to construct revitalised means of conveying understanding. If you know something, there is no excuse for not publishing it, sharing it, and collectively contributing to a greater body of knowledge. Film Studies For Free takes its film scholarly-blogger's hat off to the inspirational Luke McKernan. I have just placed a new link in Film Studies For Free's blogroll to the useful Expanded Cinema weblog, an 'online platform for experimental film, early video, and sound-based, durational work.' All of the material is being curated by Joao Ribas from available media online, 'emphasizing an overlooked facet of the archival function of new media.' Ribas has another good blog, commenting on art/film curatorial matters, among others, too: Notes and Queries. On Expanded Cinema, not all of the video embeds or links are permanently stored (one presumes, for technical reasons), but there's still a lot of good stuff there and it's well worth exploring. Phew. The legendary HarryTuttle is also the blog author of SCREENVILLE, which, among other great features, has lists of cinema webcasts and online video. I have added his custom video search page to FSFF's list of resources aimed at those engaged in Film or Screen Media 'Practice as Research' (or 'Research by Practice'). Film Practice as Research (basically, higher-education-based film and video practice that can give a 'reflexive account of itself [its form, especially] as research’) is a lively, but still 'emerging' research area, perhaps primarily in the UK. As the meagre sources of funding for artists' (and non-commercial) film and video in this country have almost completely dried up in recent years, outside the academy, many more filmmakers than before have turned to teaching to (part-)fund their work, not only in practical filmmaking college departments and art schools, but also in Film and Media Studies University departments, too. In this latter context, the academic requirement to be 'research active' and 'excellent' (and measurably so...) has led to the growth in this discourse of 'practice as research'. The Wikipedia page on this matter, that I've linked to, covers the sometimes controversial issues raised by these new ways of working, around the 'articulation as research' of practice-based work, as well as peer-review and dissemination, etc., quite well.